The Swiss National Bank, the country's central banking authority, has estimated the funds currently held by Indians in Swiss banks at a mere $1.98 billion. Narendra Modi had promised that on becoming prime minister he would ensure that Indian black money stashed in Swiss bank vaults would make its way back to India and every Indian would receive a bonanza of Rs 15 lakh (Rs 1.5 million). Banking experts in Switzerland point out that the Rs 15 lakh figure for 1.2 billion Indians is untenable since most of the black money Indians had deposited in Swiss banks was cleared out during the last decade. As per the latest data, the amount held by Indians through fiduciaries in Swiss banks has reached a record low level, while it used to be in the billions of dollars till about seven years ago. "The figures of Rs 15 lakh would have worked out to several times India's present GDP," a senior Geneva-based tax consultant points out. "Switzerland never saw such massive deposits from any country." 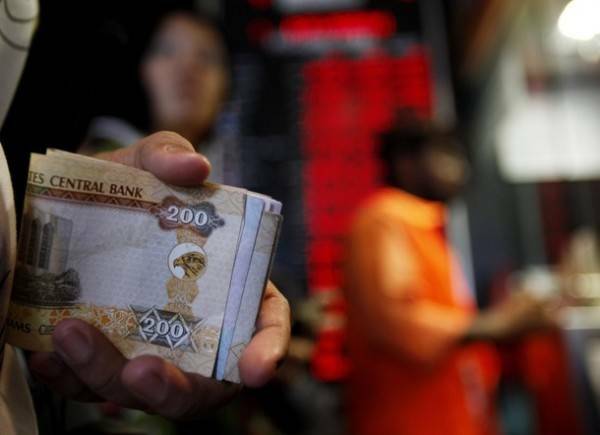 "More than half the undeclared money from India has been moved to Dubai and Singapore where it could have been invested in real estate, gold or re-entered India through the hawala route," says lawyer Nathalie Bersier, a consultant for Swiss investments in India and vice versa. "I do not know how Modi made such a remark. The Manmohan Singh government also talked about huge amounts of undeclared Indian money," Bersier adds, "but the truth is that most of the money has moved out in the last decade.". The Swiss National Bank, the country's central banking authority, according to data released last year, has estimated the funds currently held by Indians in Swiss banks at a mere $1.98 billion. Fear of disclosure due to greater scrutiny of this illicit wealth has played the main role in the flight of capital. Contesting the large black money amounts being mentioned in Indian newspapers, Bersier says, "In Switzerland, the perception is that the Indian assets vary between $900 million and $4 billion. I believe the amount would be somewhere in between." While Indian deposits may have shown a steady decline, the money held in Swiss banks by foreign depositors rose during 2014 to $1.6 trillion or Rs 103 lakh crore from about Rs 90 lakh crore at the end of 2013. "From 2009, the Indian government has been highlighting this issue of black money without realising that the easiest thing to do is to close a bank account and transfer the money out," says Bersier. "Such a flight of capital has already occurred. Many of these deposits are known to have belonged to politicians which is why no government is forthcoming with the names of the depositors," she adds. Her belief is buttressed by the release of data from the Zurich-based Swiss National Bank confirming this trend. As per its latest data, the total Indian deposits held in Swiss banks at the end of 2014 included 1,776 million Swiss francs or Rs 12,350 crore (Rs 123.50 billion) held directly by Indian individuals and entities (down from 1,952 million Swiss francs a year ago), and another 38 million Swiss franc (down from 77.3 million Swiss francs at the end of 2013) through 'fiduciaries' or wealth managers. State secretary for International Financial Matters Jacques de Watteville refused to hazard a guess about just how much money has been moved out of Swiss banks to be invested in Dubai or Singapore. "There are no official on the assets transferred out of Switzerland," says Watteville. Asked about the Indian names published in the Swiss Federal Gazette, Watteville says, "The publication of names of Indian account holders in the Swiss Federal Gazette is an internal Swiss legal procedure. Names are only published in the Federal Gazette as a last resort when there is no contact address in Switzerland for foreign residents who are affected by an administrative assistance request. The mere fact to have a name published does not prejudge the legal position of the person concerned." Does India need to establish a scheme to regularise offshore assets? "Our understanding is that the Indian government recently opened a 'compliance window' for taxpayers to regularise their situation," says Watteville, referring to the government scheme whereby tax evaders can pay a penalty of 20 percent and get their black money regularised. "Banking circles are aware that undeclared assets by Indians has been moved out," says Nicolas Stepczynski, a Geneva-based banker and tax consultant with Berger Van Berchem et Cie. "Rich Indian families are already under great scrutiny by their government and therefore known to be very careful with their finances." Will the famed secrecy wall of Switzerland's banking system finally show cracks? The Swiss Federal Council, Switzerland's highest executive authority, recently declared that it is holding consultations with the Tax Administrative Assistance Act to ease practises with regard to stolen data. For the present, Switzerland has refused to acknowledge leaked data as was the case of 600 Indian depositors at HSBC whose names were leaked by whistleblower Herve Falciani in 2006. Falciani gave the list to the French government -- who provided the information to the Indian government -- rather than to the Swiss government because he felt it would not have investigated the matter further. Bersier does not see too much emerging from the Federal Council consultations. "They are at a very early stage. Discussions have been held between the Swiss and Indian governments on the need to detect, recover and repatriate illegal deposits, but all the information available with the Indian government is based on stolen documents." "The key issue is what pressure the Indian government can exert on the Swiss government," says Bersier. "The US threatened to close all Swiss banks operating in the US which led to the Swiss immediately signing a treaty with the US and UK. There are no Swiss banks operating in India." On the subject of the Automatic Exchange of Information between the Swiss and Indian governments expected to be operationalised by 2018, Bersier is equally cynical. Erecting the AEOI platform is all very well, she feels, but it is too little too late. "By the time it becomes operational," Bersier says, "all the illegal deposits will have been moved out. There are any number of countries where this money can be moved to." India has set up a Special Investigation Team headed by Justice B M Shah to look into the issue of black money. Justice Shah has welcomed the Swiss Federal Council's approval of the bill to amend its laws to allow its government to share information with countries on the basis on what is perceived to be stolen data. Detection and recovery of black money in foreign tax havens is a key concern of the Modi government.